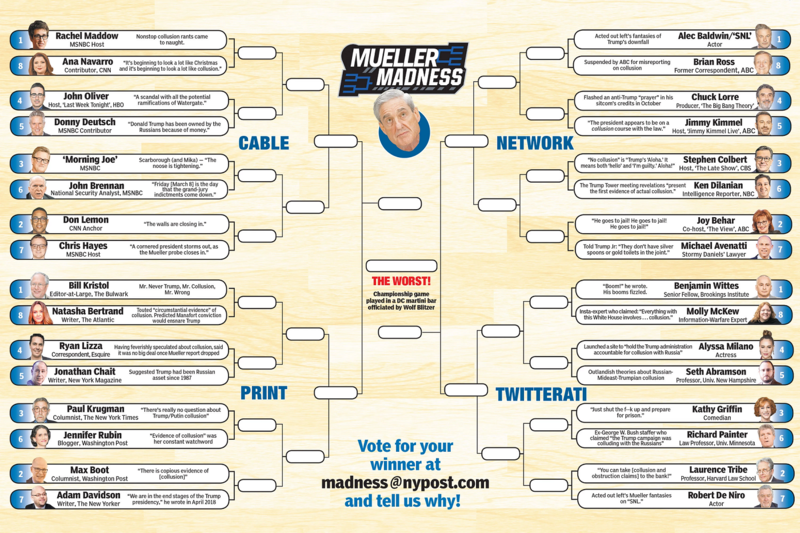 Right in the middle of March Madness, where they hope the typical low information dupe will forget this ever happened. Have you read my, uhm . . . findings? No...and hell no...and additionally for the latter...I would need access to an electron microscope. 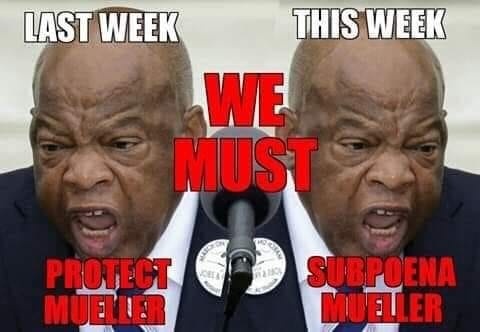 We shall see how big of an un-American DeepState POS Herr Mueller is in the coming weeks and if AG Barr is worth a damn as well. As Ken Starr properly points out here "Prosecutors either seek an indictment, or remain quiet." 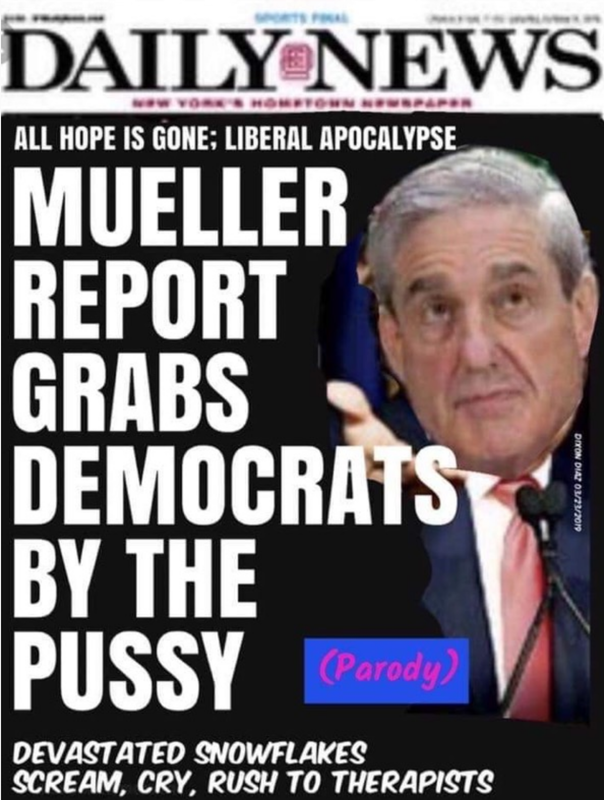 The law states Herr Mueller must report his findings to the AG, not the public, and then if words like integrity and decency are even present in the prosecutor they go away in peace and silence. 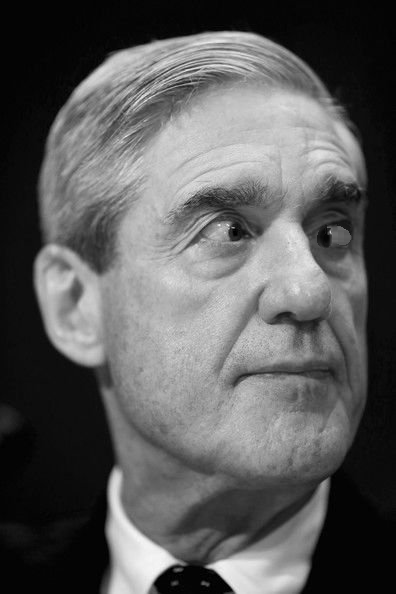 But as we all know Herr Mueller's integrity is owned by the DeepState and his decency left long ago, and in such a highly political case...political I say not legal or criminal in any way...purely political...the chatter from the coup plotters and cheerleaders is likely not to dissipate much. 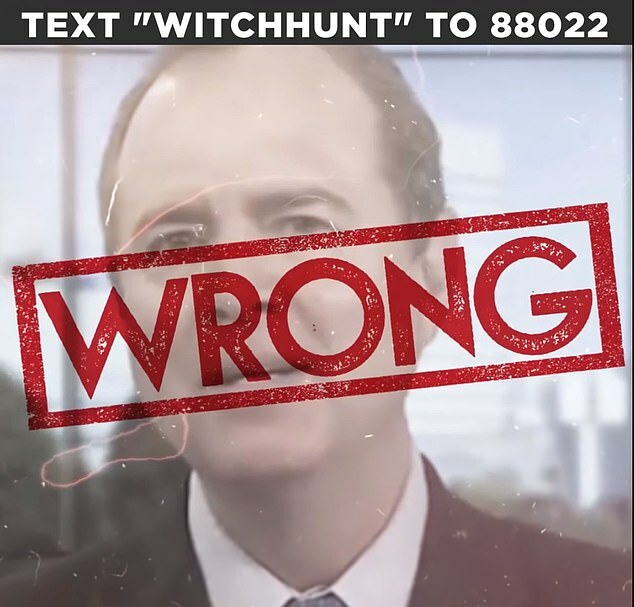 And now the next phase kicks in, the Southern District of Manhattan witch hunt now turned over to a new lead investigator fresh of the Team Mueller hunt that yielded nothing it was tasked to find. 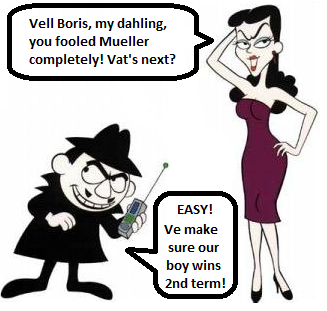 This Manhattan case picks up the DeepState baton to keep the investigatory fires burning onto the 2020 race now that Mueller found nothing he was charged to find and indicted nobody on the same. 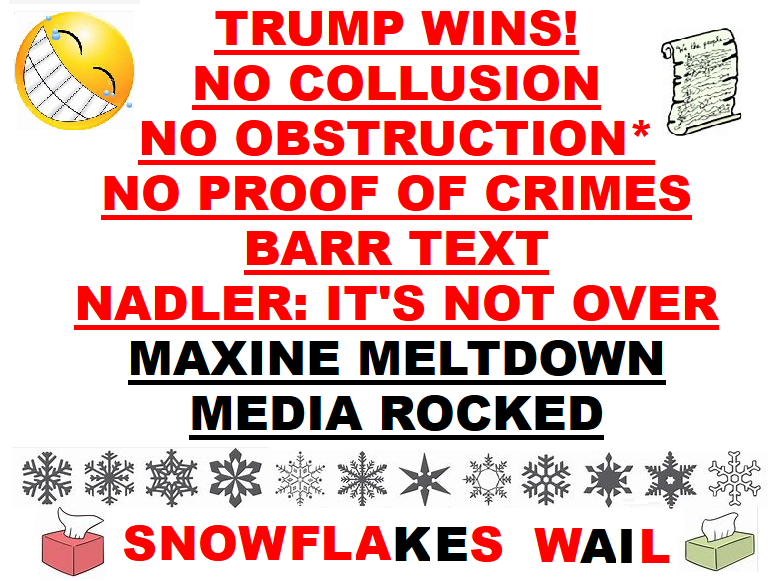 And since Pelosi said impeachment is off the table (nto because she and her ilk want it off the table, but because they hope a wounded and still investigated Trump will be easier to beat) there is nobody left to do the heavy lifting for the Get Trump Conspirators. 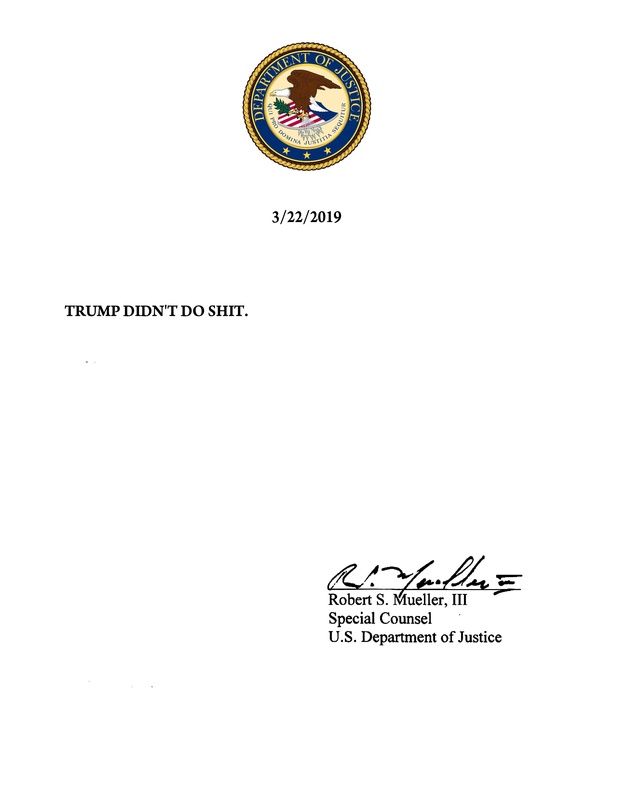 And we get to see if AG Barr is going to do the proper and legal thing and report only a summary of his findings to Congress and let the infamous Mueller Report fade into the nothingness from which it came. And as Byron York wisely laid out it is not what Mueller found that matters a damn bit, but what he did not! 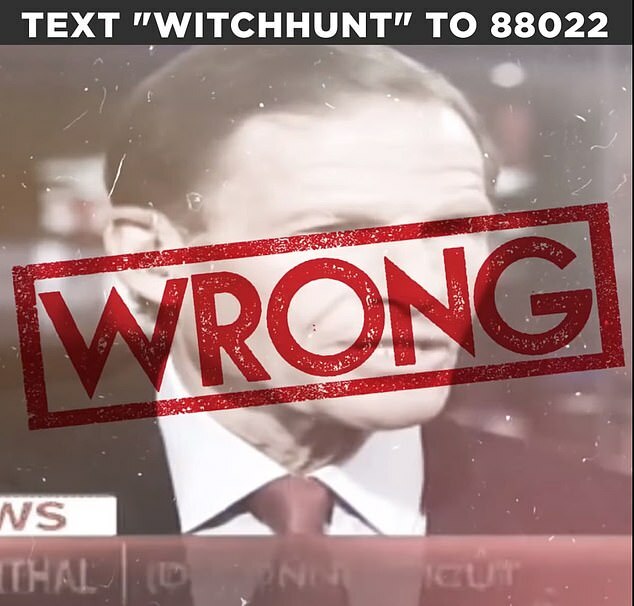 The Mueller investigation is over, and it is apparently the case that Mueller does not recommend any new indictments. At this point, it is not possible to say what is in the report. But even at this early moment, it is possible to note some things did not happen during the Mueller investigation. 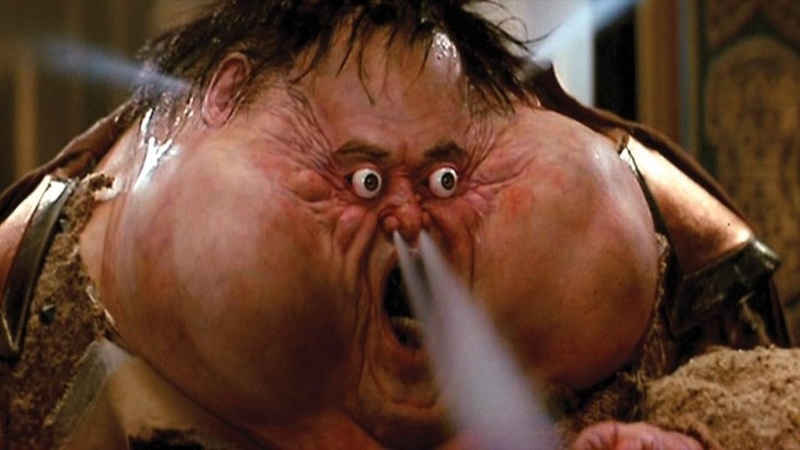 Eat a big flaming bag Dem's...DOJ doesn't have to release the full report...go after Mueller...it'll be a big family reunion for y'all and that's it. I would bet he tells them to read the report. 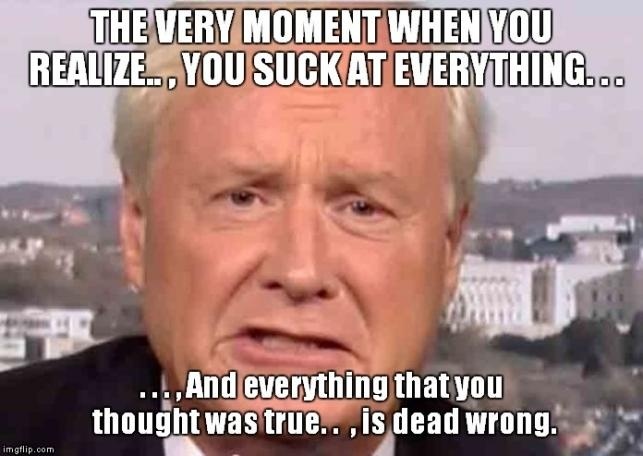 The Fascisti are in panic-mode...their inside guy with all the access and the grotesque exceeding of mandate that goes with such witch hunts and the SWAT/no-knock raids in the dark of night with friendly tips to Fake News outlets and illegally seizing documents from law firms and indictment power didn't bring about the coup they were all promised and the creature Maddow and cry-baby Mathews reading from the same script are stunned Mueller failed them...Schiffhead wants to make a bigger fool of himself and ensure Clinton and Obama go with him...Joyless Reid and Beto and others are proving progressive ideology is a mental disorder...and the Hive Leadership led by Nasty Pelosi is plotting their damage-control, which I have no doubt is more lies, more doubling-down on lies and investigations long on wind and short on fact. 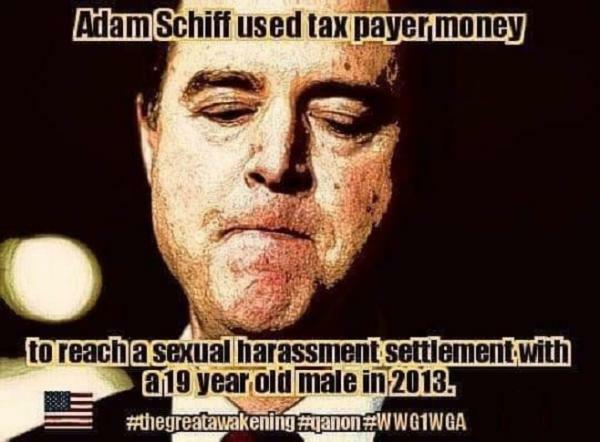 Bring your subpoenas Schiffhead, let's see how that works out for ya! Time to reap what you a-holes have sewn! Oh, it's time to release it all! Rosenstein's letter to Mueller, the FISA applications and especially the Carter Page application, Ohr's 302's, all exculpatory evidence not shared with the FISA Court, the Brennan EC memo to Comey, the Page/Strzrok communications, the Page/McCabe communications and the April 2017 FISC opinion! For starters! 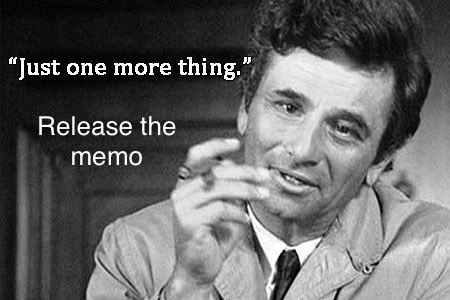 And then let us get on with appointing a Special Counsel to investigate criminal wrongdoing by government officials involved with the FISA Court abuses, the Trump wiretapping and investigation and the Clinton private e-mail server with mountains of official classified communications! You want to tussle, let's tussle! Lol, ain't it wonderful.....now we need a Special Council to investigate the Clinton Foundation, etc. And this particular lie (fake dossier leveraged for fake investigation) has more frequent flyer miles than anyone can count. Now it's Trumps turn at bat. "Behind this mask there is more than flesh - behind this mask there are ideas, Mr. Creedy . . . & ideas are bulletproof." Yeah OK that is as big a load of crap that this whole Mueller witch hunt was! I'm enjoying the heck out of their angst! I hope it kills some and maims others! 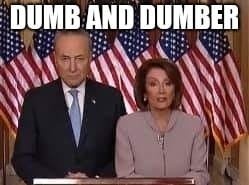 Out motto now is "Pain? 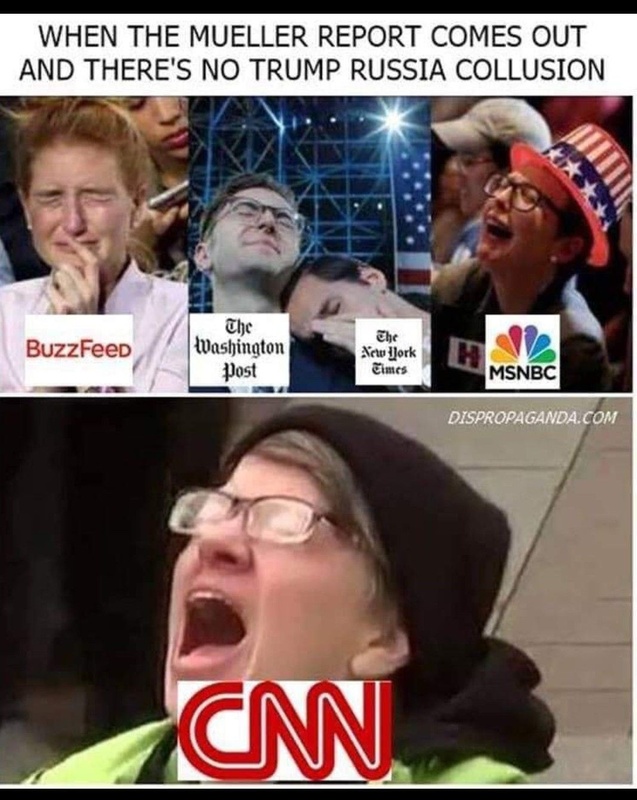 Your 'pain' has only just begun!!!". 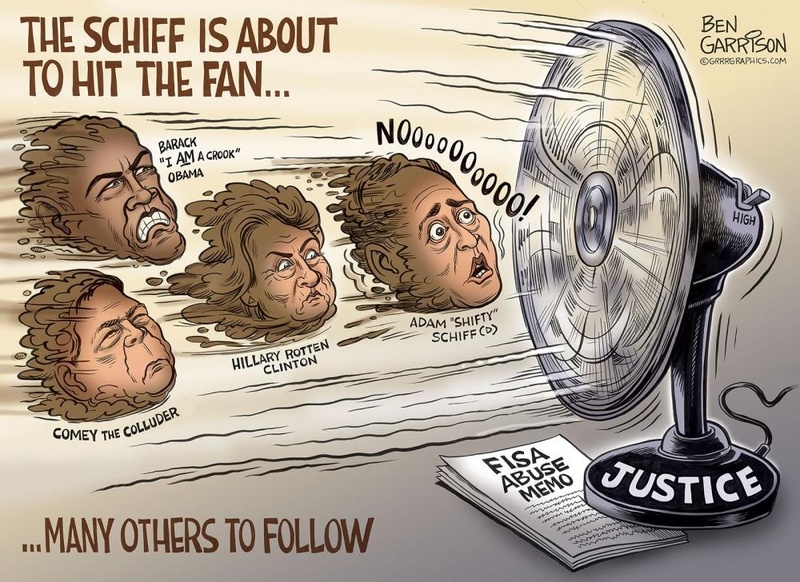 If they want a full release of the report, let's have all investigations into all politicians regardless of legal outcome released...I mean if the innocent who are not indicted are to be lumped in with the guilty and convicted, then let's have it all!!! No collusion, no obstruction...nothing. And progressive democrats should know that "no" means "no"! 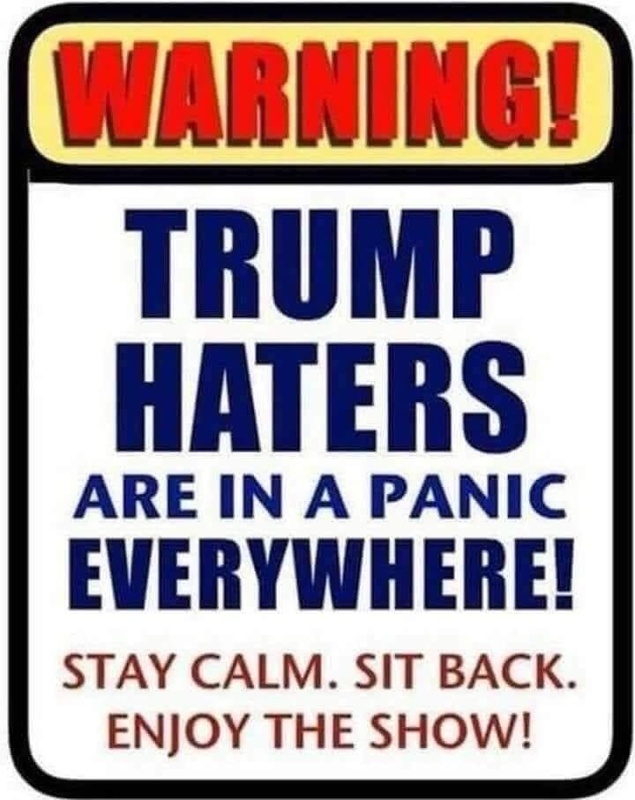 The Trump-haters not taking it well though, even though they are proven to be the big fat liars we've always known them to be! Denial and doubling down for many of them...they just never learn...another reliable failing we can exploit to the hilt! Yeah...life is hard...it's really hard if you're f'n stupid as shyt! But cheer up, it's our turn now! James Woods is a must see today! Yeah...umm, get used to disappointment! I never heard the term "stallion stuffer" before. I think it similar to a Wood Pecker Puffer without the slivers. 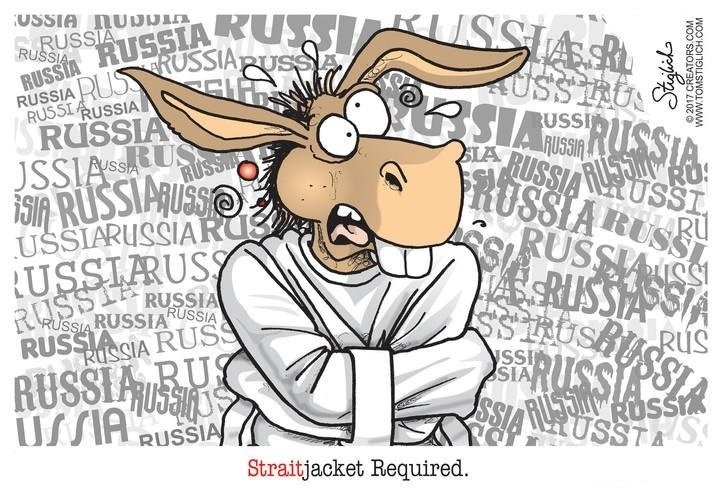 If Trump or Melania had received $500K for a speech would the Dems consider that evidence collusion? What if that speech was followed by a specific favor to the Russians, like Uranium One?